Intelligent zaniness along the lines of Patrick Dewitt’s last novel, The Sisters Brothers is hard to come by, so always appreciated. With more than a few shades of The Grand Budapest Hotel, Undermajordomo Minor delivers eccentricities and cleverness to spare, while retaining true heart, well, at its heart. It’s a quick and entertaining adventure through the Carpathian mountains. This is a strange book. 17 year old Lucien (Lucy) Minor, compulsive liar and village mollycoddle, leaves home to take a post in the far away Castle Von Aux. Oddness and adventure ensues. 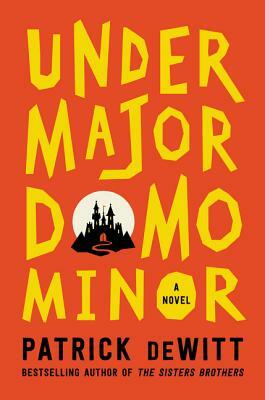 Charming and occasionally absurd Undermajordomo Minor is an amalgamation of bildungsroman, fable, adventure tale, and comedy of manners. There is something very Edward Gorey about this one, others have compared it to Wes Anderson’s Grand Budapest Hotel and I totally get that too. Lively prose and laugh out loud dialogue throughout.